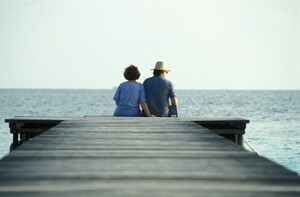 According to the U.S. Department of Health and Human Services (HHS), more than half (52 percent) of Americans turning 65 today will develop a disability serious enough to require long-term care services.1 LIMRA research finds 52 percent of consumers say they personally feel they need long-term care coverage, but only 15 percent say they actually have it. 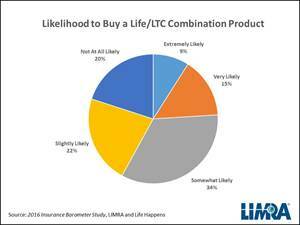 Recent LIMRA research has found that consumers are receptive to life combination products, which offer long-term care coverage if needed and life insurance coverage if the policyholder doesn’t need long term care. According to Genworth’s 2018 Cost of Care Survey, the national average cost for long-term care is $7,441 per month or $89,297 a year for a semi-private room in a nursing home2. Most of these costs are not covered by health insurance. Understanding the competing financial concerns of today’s consumers, many insurers have adapted and innovated their policies. Combination products have resonated with consumers, in 2017, there were more than 260,000 life combination product policies sold in the U.S., representing $4.1 billion in premium. In 2007, just 15,000 policies were sold accounting for $600 million in premium. November is Long-term Care Awareness Month. 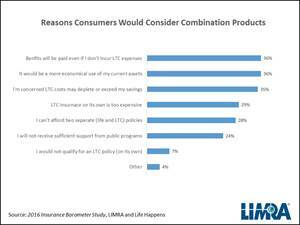 LIMRA encourages advisors to use this month to help educate consumers on the benefits of long-term care coverage and the various insurance solutions available to help them mitigate the costs associated with long-term care services.